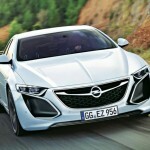 Update: Opel has officially shown Opel Monza concept pictures ahead of the 2013 Frankfurt Auto Show. According to German publication Auto Bild, a concept of the Opel-Vauxhall Monza Coupe will debut at the Frankfurt Motor Show in September. The vehicle, according to the German publication, will be based on GM’s Alpha rear-wheel-drive architecture shared with the Cadillac ATS, 2014 CTS, and 2015 Camaro, succeeding the Opel Monza as a midsize/full-size coupe in the lineup, which was last produced in 1986. 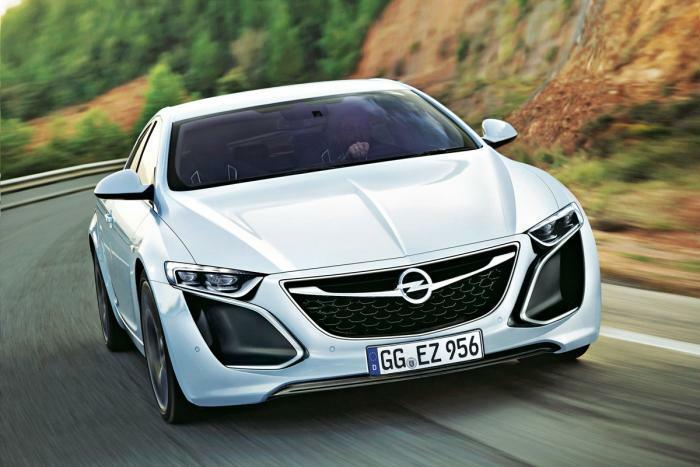 The renderings seen here (alas, they’re just renderings) were created by Andrei Avarvarii for the German publication, and show an evolution of the current Opel/Vauxhall design language — one that has been and will continue to merge with that of the Buick brand. 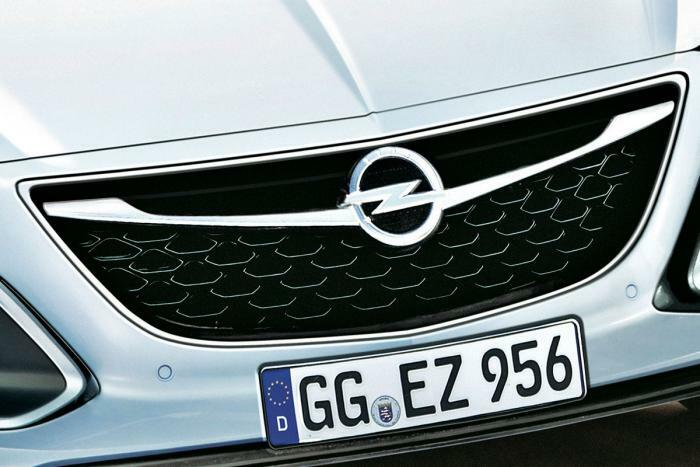 The design of the vehicle in the renderings features an athletic stance, slimmed headlamps, oversized air intakes, and a large grille with the Opel logo placed on a chrome bar with upturned winglets at the edges. According to Auto Bild, the Frankfurt-bound concept will feature a host of lightweight materials and a high-tech interior. 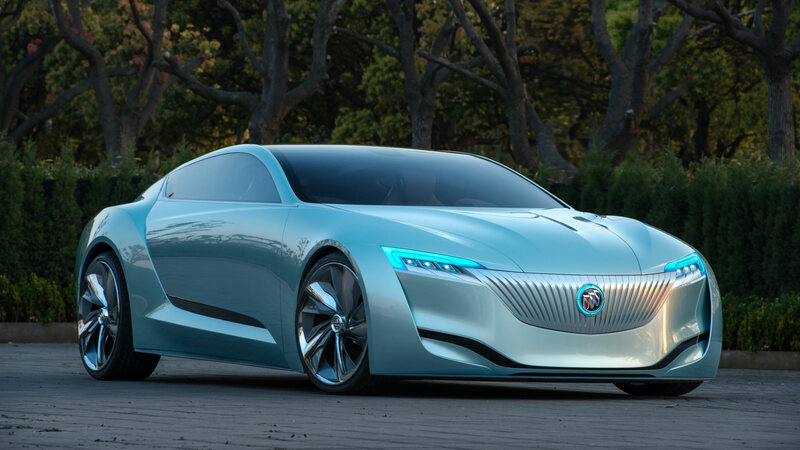 If approved for production, the vehicle could commence manufacturing in 2016, and will almost certain have a Buick equivalent (Riviera?) for the Chinese and North American markets. 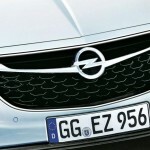 As such, the Monza will likely continue driving the Opel and Vauxhall brands upmarket, with the car calling the likes of the BMW 4 Series (the coupe variant of the 3 Series) and Audi A5 (coupe variant of the A4) as rivals. Or you may call a new Buick too. This is why I think the name Grand National does not apply here as it is not a black muscle car like sedan as many will expect with such a name. New car needs a new name for Buicks new image. Wow… ive been waiting for a big coupe from gm. Bring back the Monte Carlo! Skylark or since it’s a Monza maybe it should be a Skyhawk. This looks sharp! Look at this rendering and then look at the latest Riviera Concept. 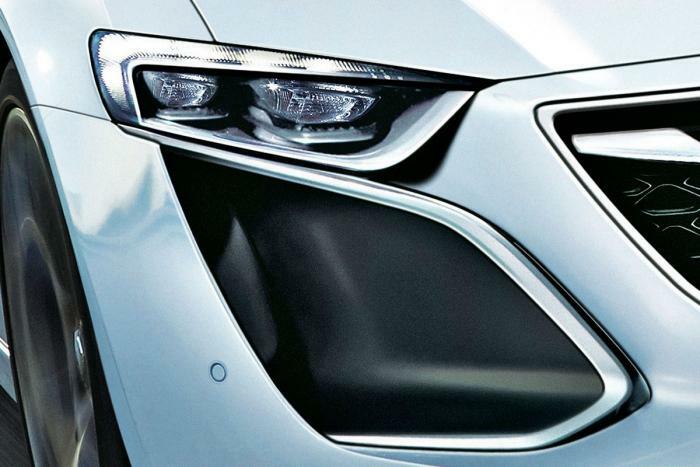 There are design similarities including the new signature Buick/Opel LED wings on top of the headlamps and the functional/non-functional brake ducts on the outer edges of the front fascia. 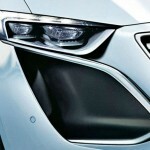 While the grille does not connect with the headlamp assembly like the Riv concept, the only other thing missing is the ‘grin’ character line that connects the ducts. I like dat! That front looks like Mazda meets Mercedes, in a good way. Monza, cool name. It has a “dubious” history (first as a Corvair, cool car, unfortunately people listened to idiots like Nader), than as a mid-70’s econobox that fell apart at 60K miles- no emails please, I owned the Pontiac “Sunbird” version, I speak the truth. Everyone now has “MTV generation” memory (by that I mean none) so it’s safe to use this cool Eye-talian name again. RWD ! Come to momma. Reminds me of the new Mazda6. Not a bad thing at all. There aren’t any more pics, such as side and rear views? The artist who has designed this car image, had apparently not been asked to build a side view, too. So this is his only image of this imagined car. I also suggest that the “real” version will look more like the Riviera concept! Exactly. “Autobild” shows that spy-shot (or an cutout from it) in the printed issue. From that half unveiled part of the front, the artist Andrei Avarvarii has created an image showing his imagination of that car. And it seems to me, that he took quite some inspiration from the current (2013) Lexus IS 300h. And, of course, the “sabre-tooth” coupé, the GTC concept shown at the 2007 IAA in Frankfurt. Maybe there will be more than one coupe, I’d like to see two or three in Vauxhall & Opels range. I’d also like to see GM & Lotus design a new VX220 / Speedster again too. It could well be that we will see the real thing this Monday, July 8. According to today’s Mainz “Allgemeine Zeitung”, which published in its print edition an interview with K.T.Neumann, the CEO of Opel and member of GM’s executive committee, Opel will present “next monday”, i.e. July 8, a concept study which picks up “old strengths and old success cars”. Hopefully Buick gets a version too!!! I hope Chevy gets a sportier version to take on The Scion/Subaru Twins. Mind you, they talk about a concept car. That does not mean that it will go into production. BTW, the full interview with K.T. Neumann which I mentioned earlier is online here. I just did not note the links to the 2nd and 3rd part… Of course in German. The newspaper “Allgemeine Zeitung” of Mainz also covers the whole region at the confluence of Main river into the Rhine, where also Rüsselsheim, the Opel home town is located. So this paper counts a lot of Opel workers among its regular readers and always has its fingers on the pulse of Opel. 2nd Generation G6, oh what you could have been. Today? Noise deaden it, Riviera it, and watch as it languishes $7,000 overpriced. Sigh. Do not even mention the G6 here. It is dead and lets leave well enough alone. Gee, one of the (and, at times the) highest volume selling car in the GM US fleet at times is now banned discussion? Please. Grand Am / G6 has tremendous value as a brand, and GM was mulling a shift upmarket with the G5 going Delta II and G6 going Alpha. It was a good plan. It’s a plan GM should reconsider. Offer Alpha across the premium ladder of brands and split engine options between Pontiac (sans luxury, base with Ecotec 1.6 and optional LFX V6) and Buick (with luxury, but with LNF I4 standard)… give Cadillac the best of both worlds in the ATS and ATS Coupe (LNF, LFX, and TTV6 Vsport). Take your opinions otherwise and either back them up with facts, or keep your idle rhetoric to yourself. A G6 on Alpha would sell, and would sell quite well in my opinion… I backed mine up with a plan. Your turn. No, everything you just typed was an opinion of a long discontinued brand. Everything was a non-fact. Typing “I want this platform with this engine and called a G6” is not a fact, or a plan. It’s mental masturbation for those that can’t let go of the past. And don’t say it isn’t so, you’re the one looking to buy an SS and then mod an Commodore Evoke front fascia into a weak G8 clone. The internet is full of GM fans with “plans for Pontiac”…as if it mattered anymore. All of them are suffering from attachment issues. That, and for some reason, many of them think RWD is the end of to be all; that making it cheap and affordable won’t hurt GM. Guess we’ll have to agree to disagree! Have a nice day!! Simmer down children… bring back pontiac! And here the same in English. With a video featuring Opel CEO K.T. Neumann presenting Opel automobile history, earlier concept cars and a first glimpse on the Monza Concept. Including the very narrow bar holding the Opel logo in its middle. Incredible — It does not only look quite similar, but this is it. The artist must have had advance information and imagery, much more than what AutoBILD claimed to have had as the only single piece. Interesting that both in the video and in both photos, the car is still largely in the dark, so that not too much details are visible, and the interest to see the full thing at the Frankfurt IAA in September is kept boiling. I’m also very surprised about similarity between the rendered photo and the real version! I really hope that this car will become true! I can’t think of too many posts that have generated this much positive buzz!!! Even though it’s a concept, this much positive buzz will hopefully lead to a production version — hopefully very, very similar. When they build it, the first 1000 should be special editions — special color, special emblems, special VINS — all pre-ordered, prepaid. A little bit of exclusivity could only add to the launch!